Oh, Mason Jar, how I love thee. 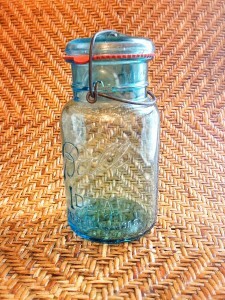 Beautiful Mason Jar, for so long you were only used to preserve our delicious food. Stored away in a cellar or dark pantry for weeks or months. One day someone realized how versatile you could be and it was like a new species was discovered. I love you in every size, especially the cute 4 ounce jelly jars that I make beeswax candles in. I love to use you as a drinking glass because you’re so durable and my kids won’t break you if they drop you on the floor. I love you in vintage blue to use as a vase. I love to brew my kombucha and kefir in you. I love to use you as a travel mug and for snacks on the go. My heart is happy to see so many people loving you as much as I do. Lids with star cutouts make cute piggy-banks! It’s been a little while since I added a blog post because I got lost wandering around Pinterest. I’m still not sure how I found my way out, it’s all a blur of crafts, kitchen backsplashes and baby animal photos. 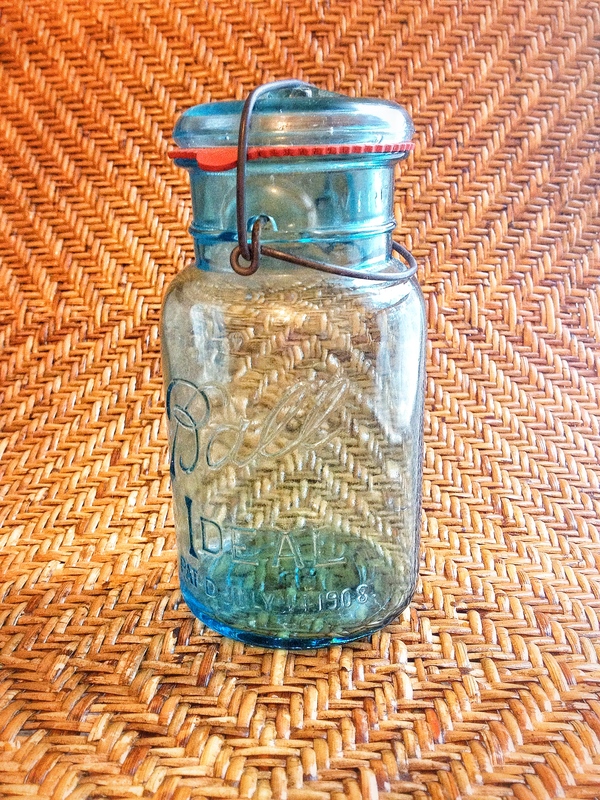 Regardless of the very real likelyhood that you will also lose yourself in Pinterest-land, I urge you to go on there and search “mason jar” and you will see hundreds of creative ideas for my beloved glass vessel. Aside from the uses I listed up there in my poem (if I can get away with calling it that) I have used a mason jar to replace a ceiling fan globe, I use them to store seeds, elderberry syrup and tooth paste. I recently came across small jars with adorable lids that my kids are now using as piggy banks. I also bought some decorative lids with straw holes to put on jars my kids use to drink out of. 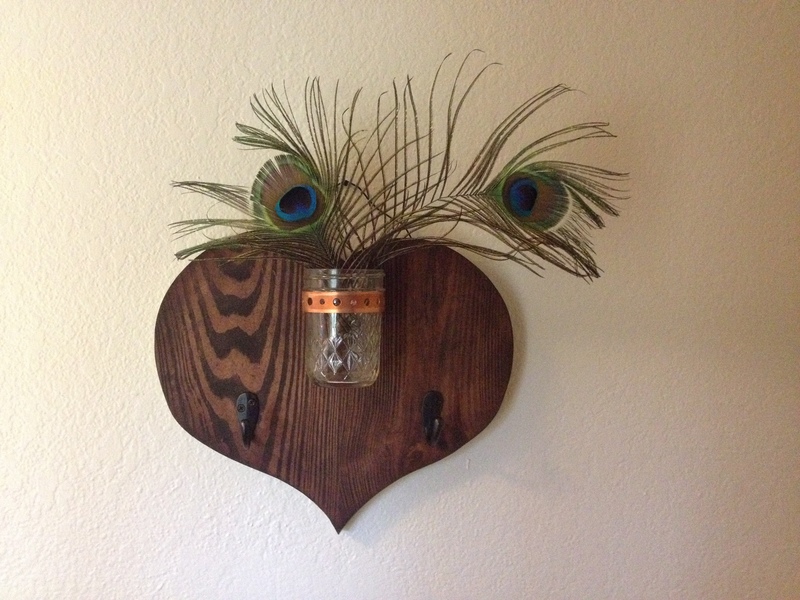 I took an 8 ounce jar, attached it to a stained piece of wood with some copper, added some hooks, and now I have a unique scarf holder/vase hanging in my entryway. Attach jar to wood: hanging vase. Add some hooks, voilà! Scarf hanger with vase. Besides Ball and Kerr, there are also beautiful Weck jars. They have their own style and I am just as excited to use the ones I bought for something that has nothing to do with canning! 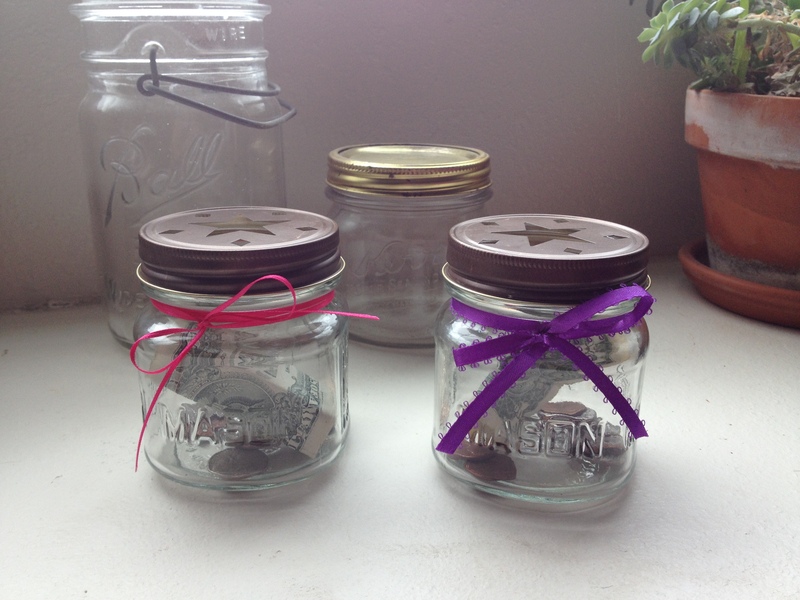 Do you have a fun repurpose idea for canning jars?